Welcome to New Suffolk Shipyards, Premiere boating on Long Island's North Fork. Our remarkable History, beautiful Locations, and outstanding Service make us the ultimate destination for North Fork boating! New Suffolk Shipyard is a full-service marina operating out of two locations on Long Island’s North Fork. As one of the oldest marinas on Eastern Long Island, the facility at New Suffolk Shipyard has an abundance of New England charm and attitude, complemented by outstanding service facilities. Family owned and operated, we believe in treating our customers like family, too. The atmosphere is friendly and helpful, with summer events sure to thrill boat-lovers and racers alike! Every Wednesday night sailboat racers gear up for the Peconic Bay Sailing Association (PBSA) races, which include over 40 participants during the height of the summer season. The shipyard also serves as host to several One Design races, an open house, and the Whitebread Race in October. Our two locations provide two opportunities for excellent service and beautiful bay access: one shipyard is on the west side of Cutchogue Harbor on the picturesque School House Creek (our flagship New Suffolk Shipyard), and a short distance due east is the Cutchogue Harbor location which directly overlooks the beautiful Cutchogue Harbor. The two locations function as separate, fully equipped boathouses and marinas, each with their own unique qualities. Deciding which is right for you will have to do with your personal boating needs and desires. Surrounded by farms in the heart of wine country, the small Long Island village of New Suffolk has an allure and tranquility that complements the services and facilities offered by New Suffolk Shipyard. Secluded restaurants and white sandy beaches are located within easy walking distance in New Suffolk Village, making the marina appealing to transient and seasonal boaters alike. We pride ourselves on outstanding service and accommodation for our customers. From dockage to maintenance, we help make boat ownership a breeze and a delight. Our Schoolhouse Creek facility has 70 docks and 22 moorings with deep-water access to Peconic Bay with full service, gas, ship’s store and boat sales. 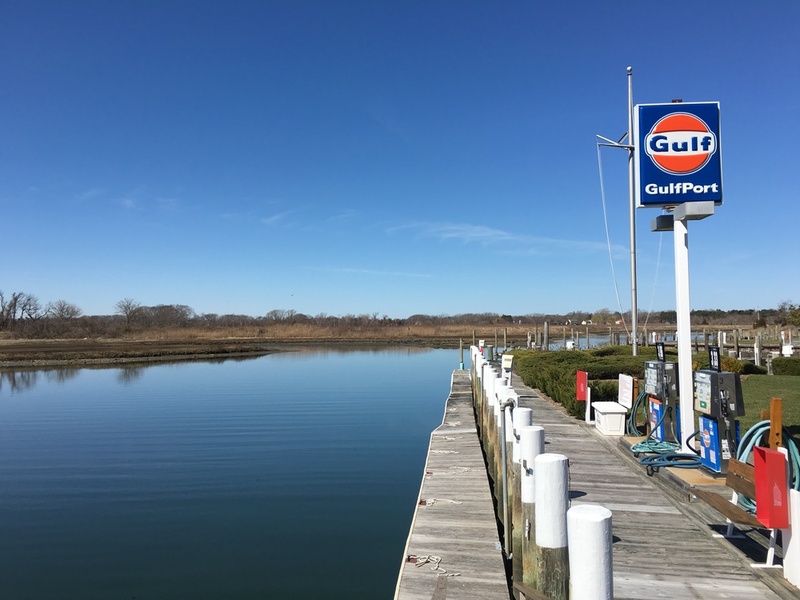 Our Cutchogue Harbor facility has 120 slips with deep-water access directly to Cutchogue Harbor with gas and diesel sales, ship store and service. In addition, we offer convenience facilities including TV, showers, and laundry.